The weather around here has gotten a lot cooler lately, and I am loving it! We've had a bunch of rainy days, the leaves are changing, and it feels like fall is finally coming. After a long hot summer it is a relief! 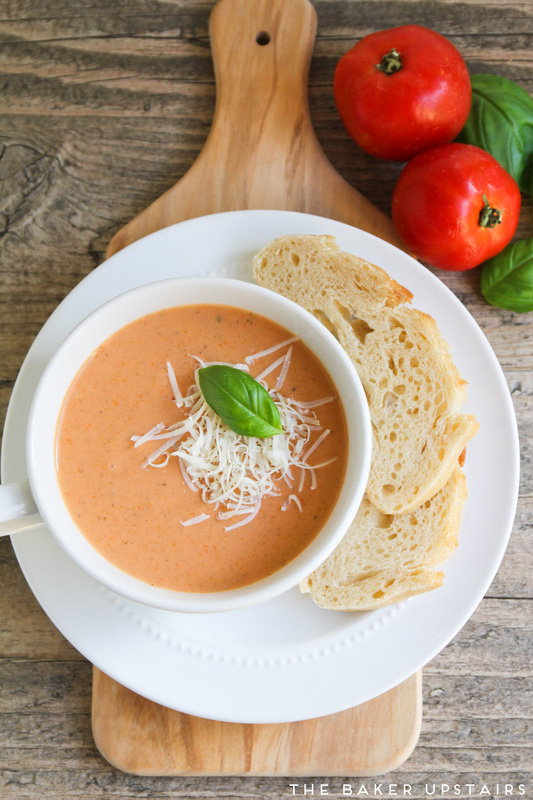 I'm still continuing my quest to retake some of my old pictures, and this slow cooker tomato basil soup is another fabulous recipe that deserves a little more attention. I hadn't made it for a while, and I had forgotten how incredibly yummy it is! It's super easy to make and cooks all day in the slow cooker. 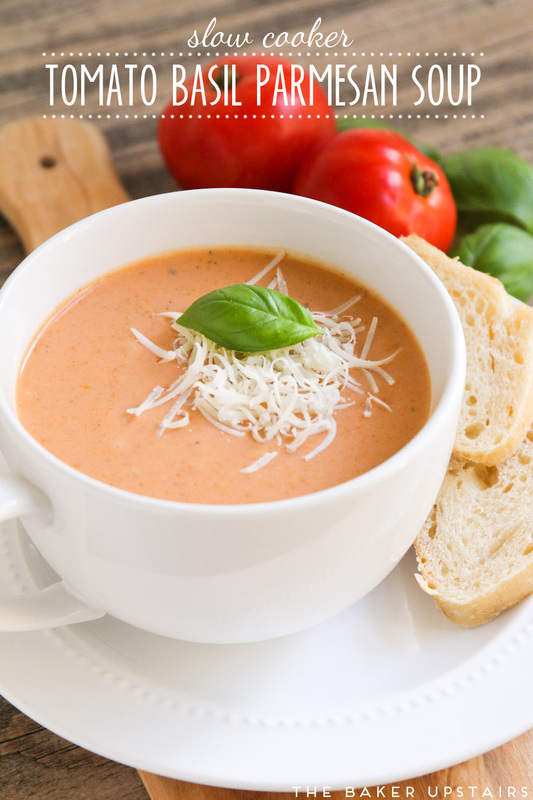 I love how delicious and flavorful the soup is, and it makes for a hearty meal with some fresh bread and a side of fruit. It is definitely a family favorite! One batch made enough for three meals for my little family, and I love that I've got it ready in the freezer for a busy fall night. Yum! Add the tomatoes, celery, carrots, onion, oregano, basil, chicken broth, and bay leaf to a slow cooker. Cover and cook on low 5-7 hours. Remove the bay leaf. Using an immersion blender, blend the vegetables until smooth. (If you don't have an immersion blender, you could also do this in batches in a regular blender. Just be sure to leave a gap for steam to escape!) Return the soup to the slow cooker. 30 minutes before serving, melt the butter in a large skillet over medium heat. Whisk in the flour to form a paste and cook 2-3 minutes, or until golden and bubbling. Add a cup of the pureed soup to the mixture and whisk to combine. Add another cup or two of soup and whisk to combine. Pour the flour mixture into the soup in the crockpot and stir to combine. Add the parmesan, half and half, and salt and pepper, and stir to combine. Cover and cook about thirty minutes to thicken. Serve warm and enjoy!